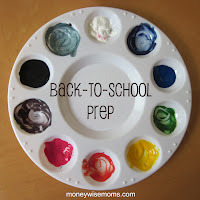 Home » Around the House » Ready for Back to School? Are you ready for back to school season? I’m not! But many of you are starting school in early or mid-August, so you’re already thinking about it. This week, I’ll share some strategies to help you get in gear for school while saving money. Look for a vlog (a video blog entry) every day this week! What back to school challenges do you face? What are you interested in learning about?